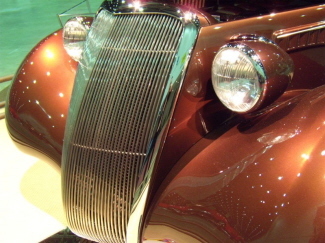 Congratulations to Doug Cooper and the fine craftsmen at Alan Johnsons shop in Gadsden, AL.... GREAT JOB ! 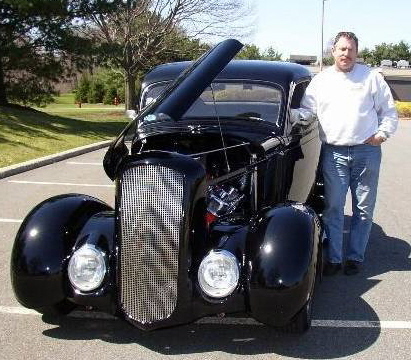 of Franklin Lakes, NJ . 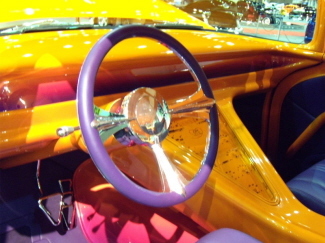 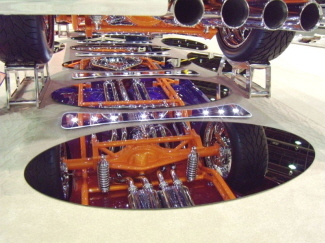 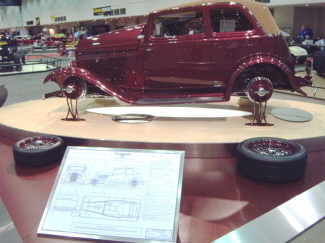 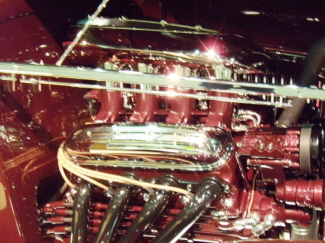 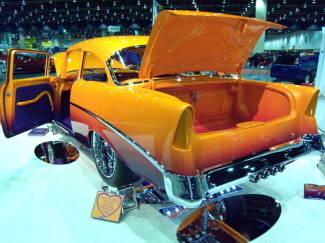 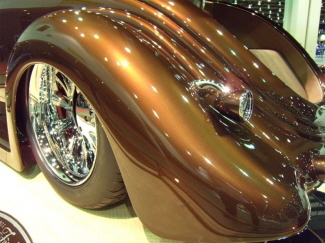 This beauty was designed and built by Tucci Hot Rods of Marcy, New York. 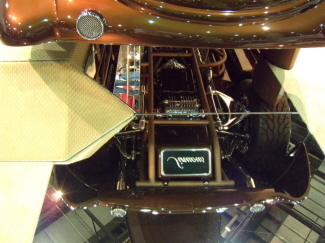 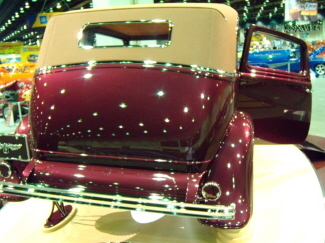 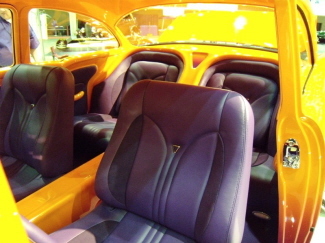 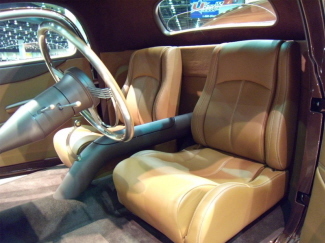 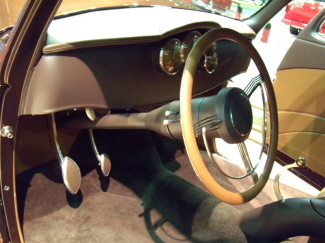 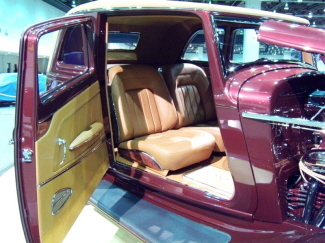 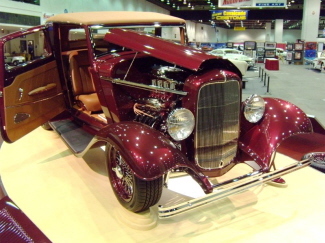 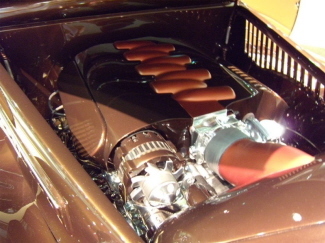 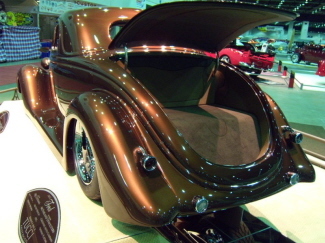 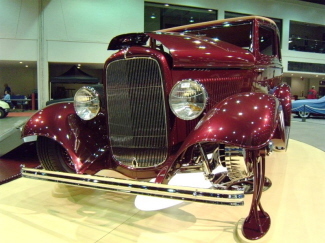 RJ customs did the PPG rich dark brown paint, while McFarland Upholstery crafted the outstanding interior. 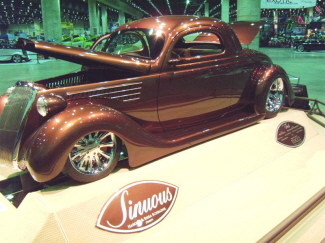 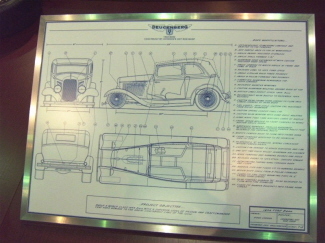 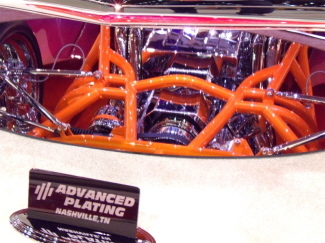 Other involved in the build were Sherms Plating Greening Auto Company, Profile Racing, and Arcuri Design. 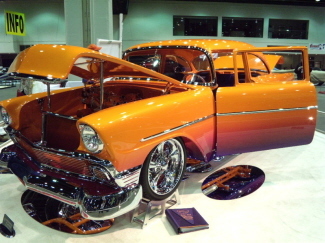 The fantastic car was built by a good friend of Hotrodhotline.com... Dave Tucci ... very talented young man !